Criminals focus on easy targets. Your job is to make it difficult for them to choose you. 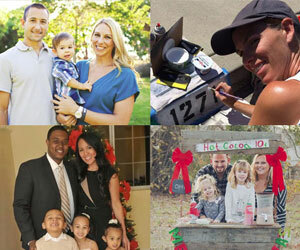 Here are a list of tips and links to keep yourself, your family, your home and your valuables safe. 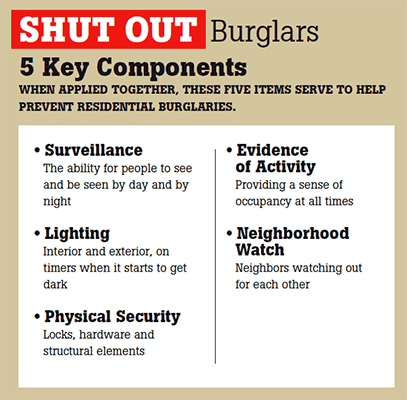 Make it a routine to lock your doors and windows, especially at night and when you’re away. Lock up your outdoor ladders and tools so they can’t be used to gain entry into your home. Be wary of anyone who approaches your front door and don’t let them take up too much of your time. Criminals work together; one will come to your door and distract you while the other sneaks into your home. Ask for an ID of a utility person or suspicious solicitor. Be a good neighbor, lookout for one another. Unusual, excessive dog barking could be a sign of an intruder and may warrant a call to the Sheriff’s Department. Report suspicious activity to the Sheriff’s via the non emergency line, (858) 565-5200. DO NOT share your vacation plans on social media, or at least wait until you get back! Hold the delivery of your mail and newspaper or ask a trusted neighbor to pick them up for you. Sign up for a FREE vacation check by completing a Vacation Check Request Form and delivering it to your local station. The San Marcos station is located at 182 Santar Pl, San Marcos, CA 92069. (Watch video reenactment). Light up the perimeter of your home during the night, including entrances, rear doors and dark areas. Lighting is a deterrent for someone who is tempted to commit a crime. The best place for outside lighting is under the eaves, illuminating the walls, and by gates and driveways. Motion sensors are not as effective as dusk-to-dawn lighting, as they can be set off easily and frequently by animals, thus desensitizing the residents to their activation. 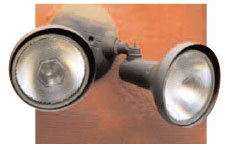 Pros: The advantages are that they produce a bright light, are easy to control and are compact. Cons: These live short lives and are fairly expensive to operate. Pros: These are less expensive to operate than incandescent or halogen, and last longer. Cons: Though they put out a good light, they are more difficult to direct. Pros: They provide excellent light, are easy to direct, control and they are compact. Cons: These require fewer fixtures to illuminate an area, but they have a shorter life. Pros: These require fewer fixtures and have a low operating cost. They are an excellent light source, are easy to direct and control, and are compact. Cons: The fixtures themselves are expensive. Pros: These are the least expensive to operate. The fixtures are expensive, but few are required. They are easy to direct and control, and are longer in size. These yellow lights are often used to prevent loitering. Cons: They produce a yellow, light-reducing clarity. All wooden entrance doors should be of solid core construction and at least 1 ¾ inches. This also applies to the exterior, pedestrian garage door and the door that passes from the house into the garage. Security screen doors provide excellent additional security when equipped with a good deadbolt lock. If your sliding glass door is not equipped with hardware that prevents it from being rocked off the track when in the locked position, install a slide-bolt lock at the bottom or a pin. The pin anchors the moving door to the stationary doorframe. Drill the holes and install the pin, angled upwards, to prevent it from being shaken out of place. As another precaution, install an anti-lift device in the top track. Install a single-cylinder deadbolt lock and metal flush bolts on the inactive side of French doors, and a reinforced strike plate. The glass should be tempered or coated with a burglary-resistance glaze. Lock all your doors even if you plan to be gone for only a brief time. Close all your windows no matter the weather. Don’t leave valuables in your car. If you do leave valuable items visible, you are basically advertising to burglars to break into your car. Leave to trace. Don’t leave any sign there might be valuable in your car such as docking stations, cell phone chargers, connector cables, spare change or clothing. If you have an after-market stereo with a face plate, remove it. Without the faceplate, the unit can’t be pulled out as easily and will be harder to fence. Park in busy, well-lit and well-traveled areas. Thieves don’t want any attention and choose their targets accordingly.